Business development is continuous, systematic discovery! Systematic business and organisational development combines fact orientation with imagination and disciplined action. 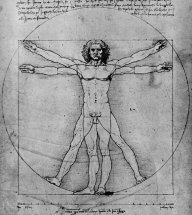 Leonardo da Vinci´s work is the best evidence that the virtues he believed in are the source of exceptional growth. The parallels to successful organisational development are so obvious that we use it as a guideline for our work. Do you do enough "pilots" and how well do you learn from them? Imagination without logic is dreaming and logic without imagination cannot create enough enthusiasm to put ideas into reality. Constantly expand your view and perspective beyond your current frame of reference or predictability, thus taking calculated risks. Who you want to be and how you want to act is a question of choice. But once you have chosen your positioning, you should live up to it. Leave the habit of linear projections and establish a network of self-regulating subsystems.